This week is an incremental update to last week’s feature-packed update. We’ve added more languages to bittubeapp.com as part of our marketing preparations and we’re sharing some more details about the upcoming hard fork and app updates. Good news for our users. In mid-January we are increasing the AirTime distribution! Currently, AirTime accounts for 27% (30% minus devfee) of the block reward and miners take 70%. As explained in last week’s update , after the fork, the AirTime share will increase to 45%. Content creators and publishers can expect increase in rewards of 1,6 times the current rate and viewers 1,88 times the current rate. Additionally, what will change is the devfee from 3% to 10% for platform and marketing. The original 3% was too low to cover expenses, moreover, 2019 will need a sharp increase for marketing efforts. 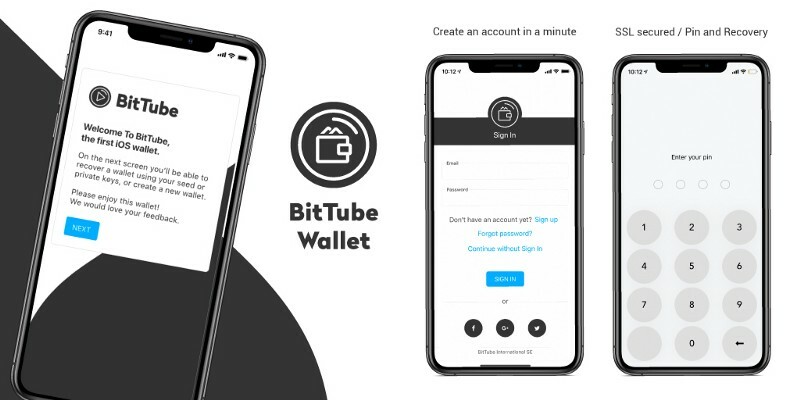 The remaining 5% ‘community’ pool comprises referral rewards, payouts for the upcoming decentralized moderation system of the platform, and a project fund to support other devs integrate BitTube into their apps. To understand how AirTime works exactly, we recommend reading our AirTime launch article as well as our Knowledge base entry. We are currently verifying all of our systems in testnet. Next week we will announce the exact block height when the fork will occur. Miners themselves don’t necessarily need to update their software. Regular users will need to update their offline wallet if they are using one, otherwise we will take care of updating the web wallets. In past updates, we have been talking a lot about staking. Staking will enable users to upgrade their AirTime limits, upgrade their accounts, invest in publishers, borrow from other stakers and much more. We have a long roadmap ahead of us to realize everything that we have planned. The hard fork is the first step towards transitioning to a hybrid system combining PoW (Proof-of-Work) and PoS (Proof-of-Stake) algorithm. It is the sensible step to take, since we are reducing mining rewards and increasing utility and rewards from staking, so too should staking be allowed to contribute to network security. There is a lot that we have to figure out to make this happen. All of these changes will come only after bit.tube migrates to the new BitTube platform announced last week. To summarize, the short-term roadmap looks as follows. The latest version for iPhone is out! Sync up with your extension account and backup your wallet addresses with this release. The app allows registration and sign in for the extension and wallet under one account on-the-go. It is easy of use like this that makes mainstream users happy. Our website and browser extension cover the majority of spoken languages in the world. This week we have added Simplified Chinese and Arabic. Upcoming languages are Korean and Japanese. We are closing in on the end of 2018. Next week we’d like to do a recap of the year, revisiting the crazy twists and turns we’ve taken since launching early this year. Perhaps this will also crystallize some of the important choices we’ve been making recently, to set the record straight that we are much better positioned on all fronts going into 2019.